This is one for those of you who like giveaways – and really, who doesn't? 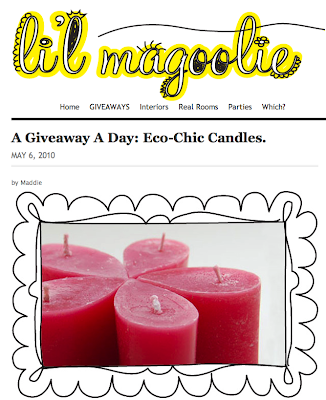 The lovely Maddie from lilmagoolie blog has been doing a giveaway each day this week. I met her a couple of months ago at Crafty Business. She writes very popular blog which is packed full or allsorts of inspiring things, is a stay at home mum, and has just started out doing freelance graphic design as well. I don't know how she fits it all in! 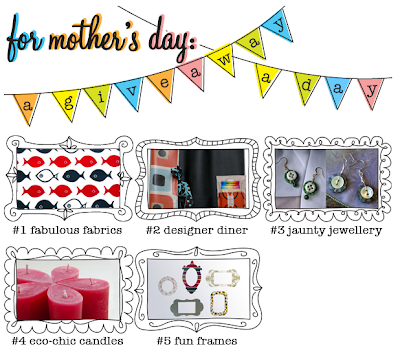 My mini-teardrop candles featured yesterday. There are some great prizes on offer, including some from fellow felt sellers, Relique Vintage Jewellery and hjrd design. There is still time to enter, so pop over and have a look.